Punto Banco is an interesting card game which is related, but slightly different, to Baccarat. If you’ve never played either game before you will need to be aware of the basic rules so you understand what is going on. Apart from laying a bet there is no interactivity and the hands are over pretty quickly so reason to find out what’s happening. 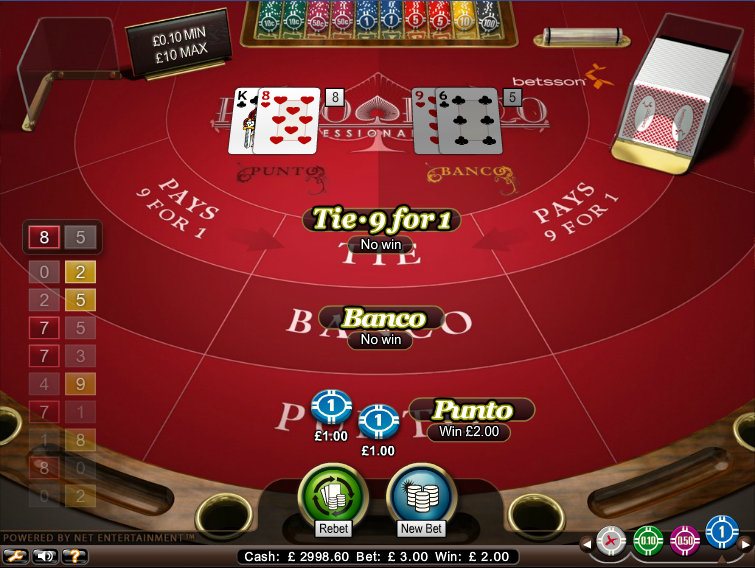 This version of Punto Banco is by Net Entertainment and the aim of the game is to predict which hand – the player’s or the banker’s – will win the round. You may also predict a tie. A correct prediction pays out at 2/1 with a tie paying at 9/1. 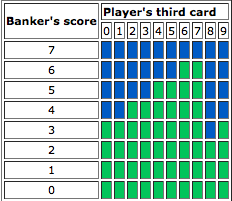 The player is the ‘Punto’ and the Banker is the ‘Banco’. Playing the game is simple, just select your chip size and place it on Tie, Banco or Punto or all three if you like. Press ‘Deal’ and watch the action unfold. Note that betting the banker and winning will cost you an extra 5% of your winnings.